Centro Escolar University claimed the top spot in the Foundation Group, outlasting Valencia City Bukidnon-SSCR, 71-65, in the 2019 PBA D-League Monday at Paco Arena in Manila. Senegalese big man Malick Diouf etched his name in the developmental league’s history books as he set a new rebounding record with 30 boards. He also finished with a game-high 21 points and four blocks as the Scorpions racked up their fourth straight win in as many games. “He was controlling [the boards],” said coach Derrick Pumaren. Jan Formento produced 16 points, Christian Uri supplied 13 points, five rebounds, and four assists, and Keanu Caballero made 10 markers, six dimes and five boards in the triumph. 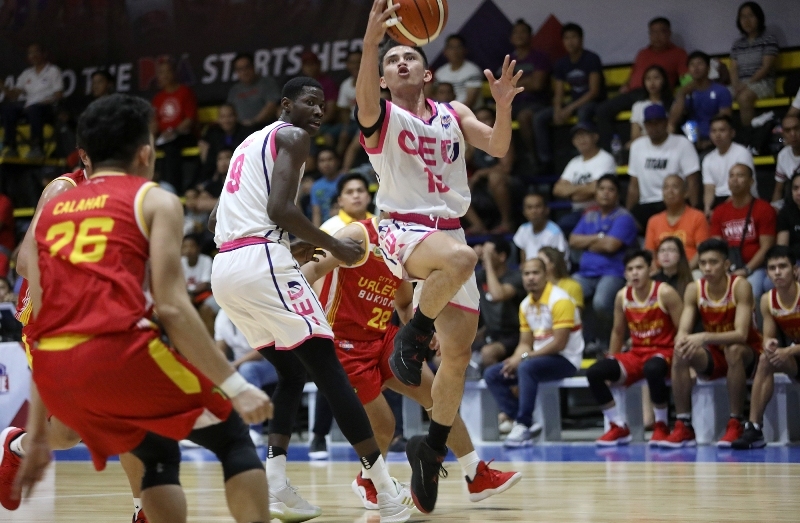 CEU wasted its strong 19-5 start as the opposition ran back and led by nine in the second frame, but they restored order in the final canto by building a 69-59 lead with 4:20 remaining. The Golden Stags, however, refused to throw in the towel. Kenneth Villapando’s three-point play conversion inched his side to within five with 2:41 left in the game. Allyn Bulanadi tried to cut the deficit even shorter, but he muffed both of his shots as Diouf was there to secure both rebounds, which not only sealed the deal but the new record as well. CEU committed 20 turnovers which led to 19 easy points for the opposition. Bulanadi had 16 points on a dismal 6-of-22 shooting to lead Valencia-SSCR, who fell to 3-1. Alvin Capobres supplied 13 points and 13 rebounds, while JM Calma added 10. CEU 71 — Diouf 21, Formento 16, Uri 13, Ke. Caballero 10, Chan 6, Fuentes 3, Lisbo 2, Rojas 0, Diaz 0, Intic 0. VALENCIA-SSCR 65 — Bulanadi 16, Capobres 13, Calma 10, Sumoda 7, Desoyo 7, Ilagan 5, Villapando 3, Dela Cruz 2, Bonleon 2, Are 0, Calahat 0, Tero 0, Loristo 0, Quiambao 0. Quarters: 22-13, 35-36, 56-51, 71-65.